Please see our lesson on counting numbers in Haitian Creole if you haven't done so already. 1. The first ordinal number premye occurs only once and does not repeat in patterns. Every first number after that end as -entyèm. 2. Second through ninth repeats in patterns (except in the 70s and 90s). 3. 10th through 19th only repeats in the 70s and 90s. 4. Every tenth number ends as -tyèm (except for 70th and 90th). 1. 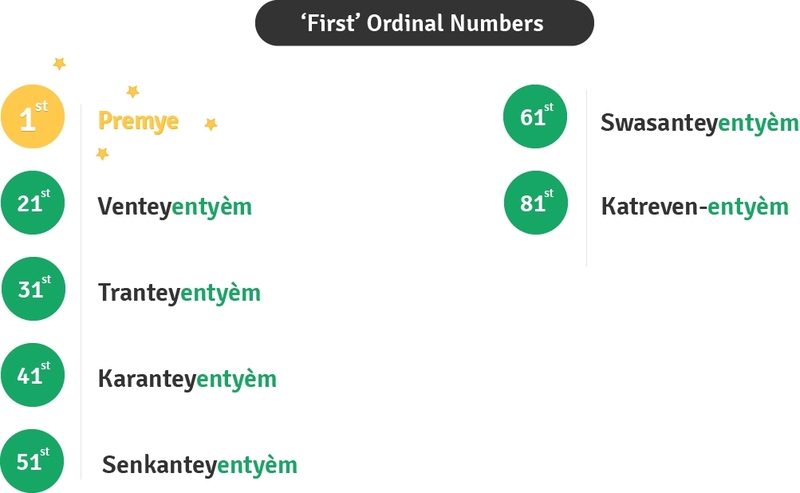 Premye is the Creole ordinal number for first. It occurs only once. 2. 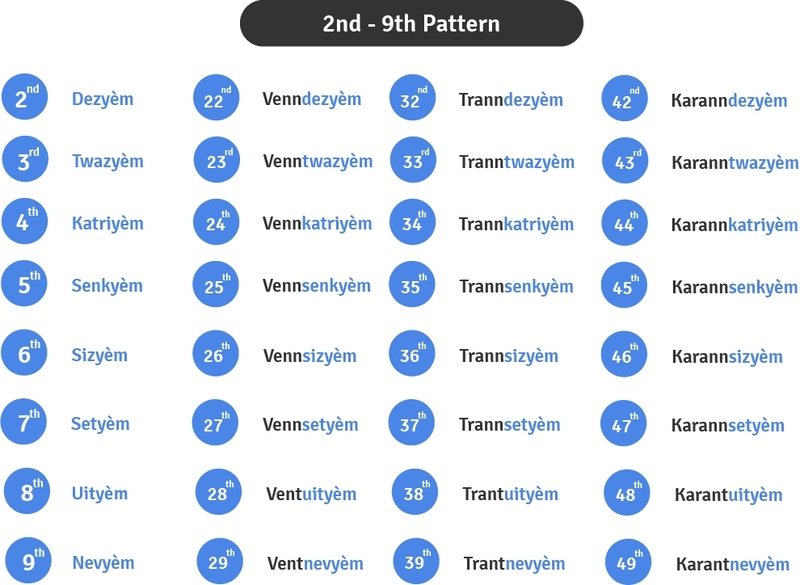 Every first ordinal number from 21st and on such as 31st , 41st and 51st end as -entyèm. 3. The only exceptions are 71st and 91st. They end as -onzyèm. 1. Ordinal numbers second through ninth repeats in patterns. 2. The only times they don't repeat are are 10-19th, 70-79th, and 90-99th. 1. 10th to 19th repeats from 70th to 79th and from 90th to 99th. 1. 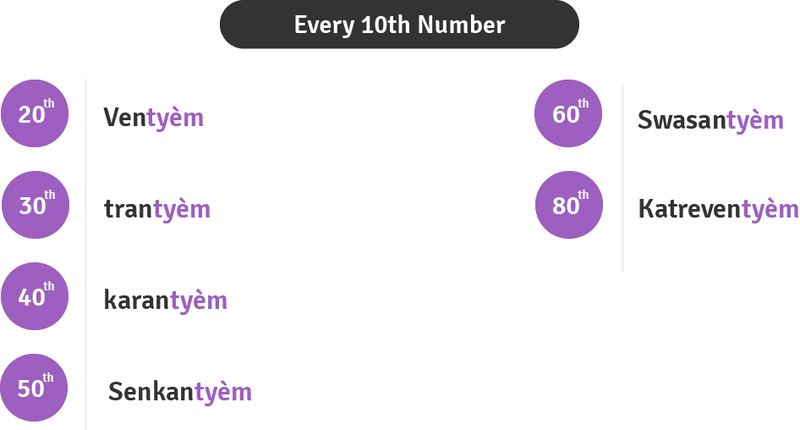 Every tenth number from 20th and up ends as -tyèm. 2. The only exceptions to this are 70th and 90th.